Bri Douglas hands an ice cream cone to Jen Libby of Falmouth at Scoops Ice Cream in Falmouth Friday, May 19, 2017. Tetris waves a kiss at Dr. Lourdes Benito at the Cumberland Animal Clinic Friday, May 19, 2017. Huston Commons, Preble Street's third "housing first" apartment building, opened Wednesday, Apr. 26, 2017 in Portland. The housing units give 30 chronically homeless Mainers a permanent place to live. 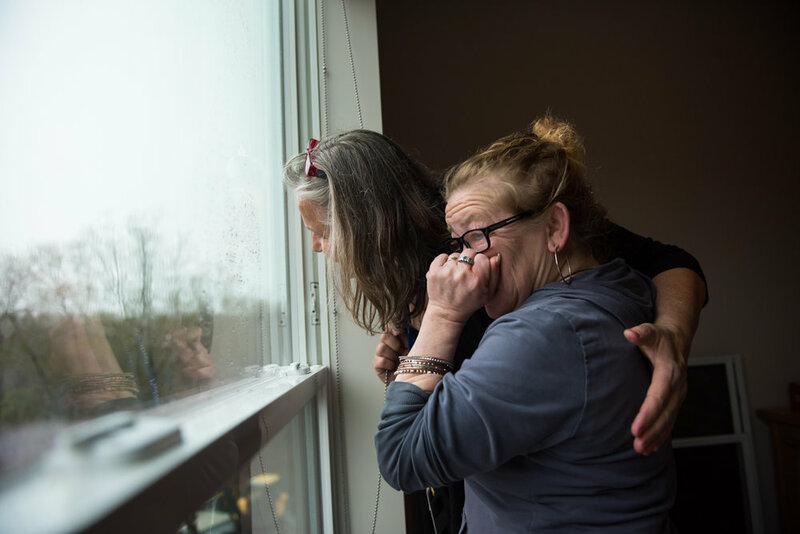 Dawn Wade, right, is overwhelmed with emotion as Caroline Fernandes, Preble Street's director of residential services, shows Wade the view from her new home. Jack Doherty of ReVision Energy carries a solar panel across the roof of Maine Historical Society's offsite collections management facility in Portland Wednesday, April 18, 2017. 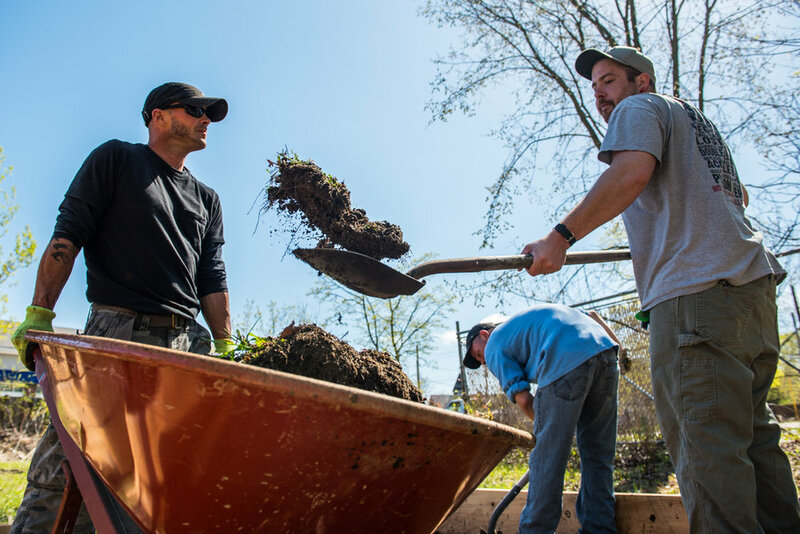 Sean Jenkins, standing at left behind wheelbarrow, Cecil Solaguren, tossing dirt, and Brian Hall, shoveling at rear dig out a planter box at a new community garden in the North Deering neighborhood of Portland Sunday, May 7, 2017. The garden aims to bring together individuals in recovery from alcoholism and drug addiction. 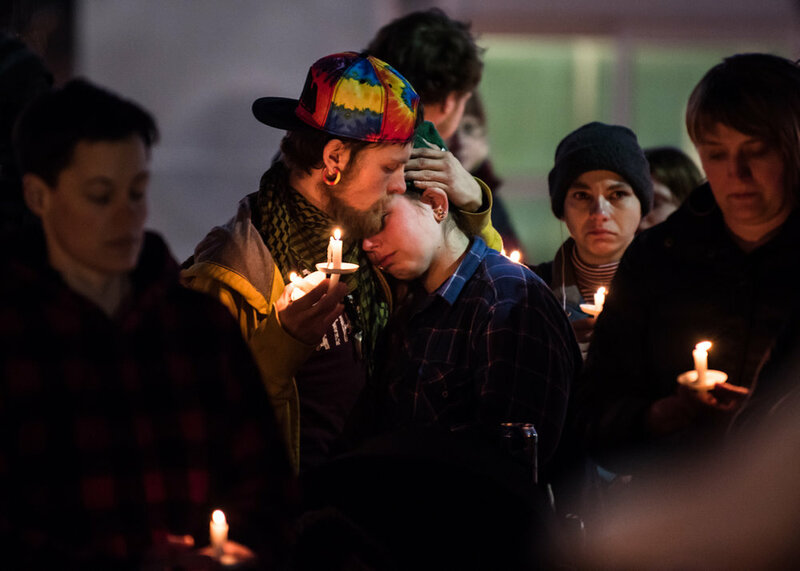 Friends of Chance David Baker mourn during a Friday, Feb. 24 vigil in Portland’s Monument Square. Baker was killed by police Feb. 18; his death has prompted renewed calls for equipping police with body cameras. Jordan Roberge of Portland grabs some air Thursday, February 9, 2017 on the Eastern Promenade during the storm that left about 8 inches of snow in the city. 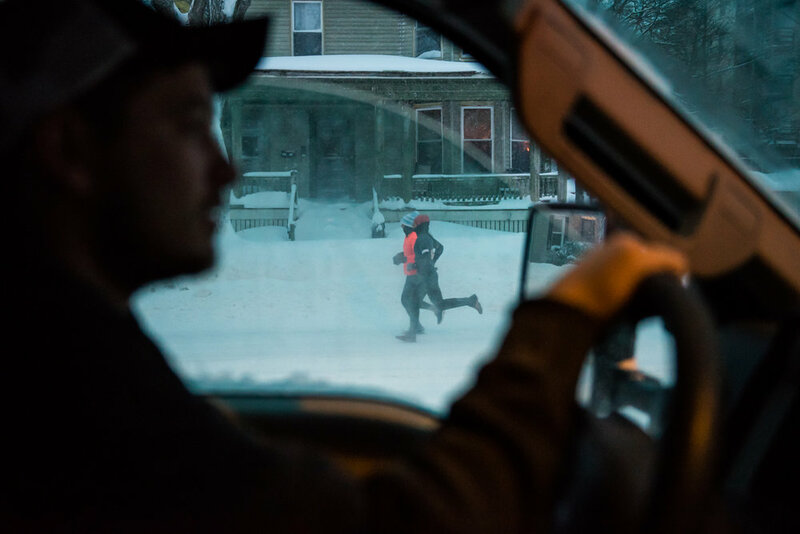 A pair of joggers get their morning exercise on Park Avenue in Portland as Dave Blackwell of the city's Parks and Recreation department drives around town clearing municipal and public parking lots Monday, February 13, 2017. Thousands of demonstrators stride through downtown Portland along Congress Street during Women's Walk Portland, Saturday, January 21, 2017. A surfer takes advantage of the relatively balmy temperatures and good waves Tuesday, December 13, at Higgins Beach in Scarborough. Jeffrey Blood and his son Miles, 3, of Westfield, Mass., stand in front of the Portland Christmas tree moments after it was lit Friday, November 25, 2016 in Monument Square. The Sunday, October 30 Celebration of Life in Longfellow Park for the six victims of the 2014 fire on Noyes Street featured food, music and bubbly fun for Maliyah Summers, 5, daughter of victim Steven Summers. Lisa Redfern performs at a house concert in the Rosemont neighborhood of Portland Saturday, October 15, 2016. Visitors enjoy the sunset at Fort Sumner Park on Munjoy Hill in Portland on October 6, 2016. Skye Priestley of Portland plays chess in what is normally a parking space on Congress Street in Portland as part of PARK(ing) Day on Friday, September 16, 2016. Bug Light Park in South Portland provided prime viewing as the Anthem of the Seas docked at Ocean Gateway in Portland on Sunday morning, August 28, 2016. The vessel carries more than 6,000 passengers and crew, and is the largest cruise ship to visit the city this year. Rabbi Moshe Wilansky of Chabad of Maine carries a torah from Portland's Shaarey Tphiloh synagogue on Noyes Street to the congregation's new home at Temple Beth El on Deering Avenue, Sunday, August 21, 2016. 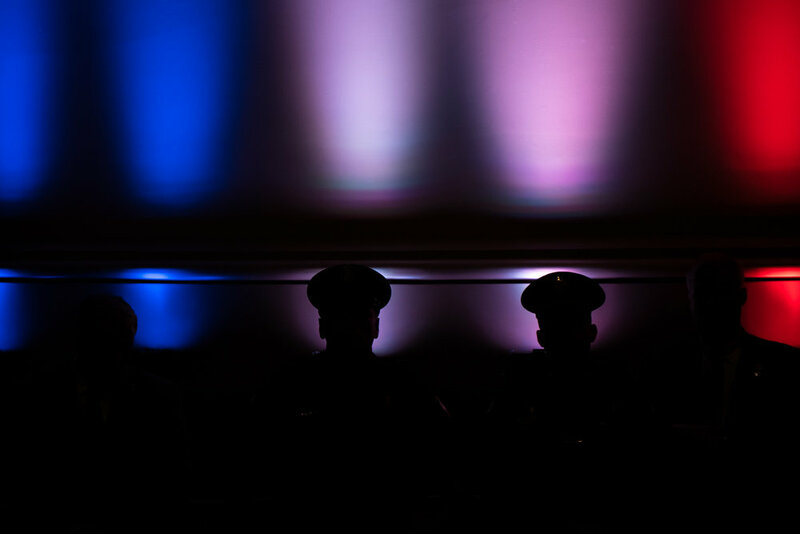 Portland police officers stand guard during a Donald Trump rally at Merrill Auditorium on August 4, 2016. 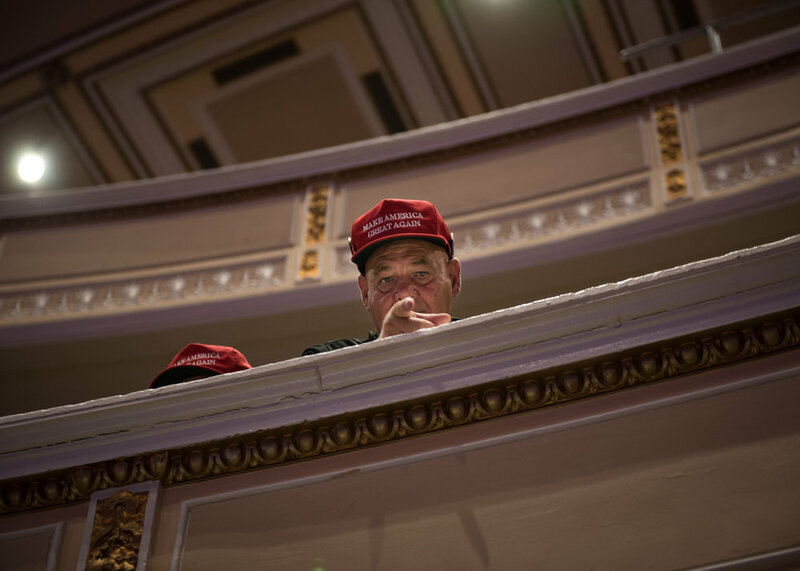 A Donald Trump supporter at a rally in support of the Republican presidential candidate at Merrill Auditorium in Portland on Thursday, August 4, 2016. A demonstrators stands in the median on Congress Street outside Portland City Hall on Thursday, August 4, 2016 in protest of a Donald Trump rally taking place around the corner at Merrill Auditorium. 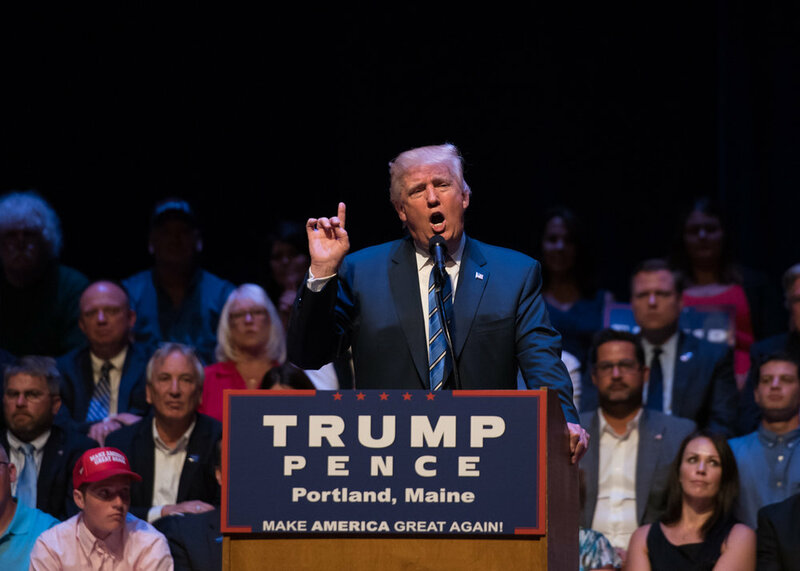 Republican presidential nominee Donald Trump delivers a 50-minute speech on August 4, 2016 at Merrill Auditorium in Portland. Paula Carter draws a caricature of Edward Moura of Manchester, N.H., at the 51st annual Yarmouth Clam Festival on July 16, 2016. A protest in Portland in support of Black Lives Matter ended with 18 arrests after demonstrators congregated for several hours in the intersection of Pearl and Commercial streets during the evening of July 15, 2016. Harvesting seaweed in Bremen Sunday, July 3, 2016. Kyle Wilson takes a plunge in Peters Pond in Waldoboro. Representatives of Portland Public Schools wave to the crowd on Congress Street from their big yellow school bus at the Portland Pride Parade on June 18, 2016. The Pine Tree Curling Club played the last match of its inaugural season at the Troubh Ice Arena in Portland on Wednesday, February 24, 2016. Poet Henry Wadsworth Longfellow grew up in a house on Congress Street in Portland today preserved by Maine Historical Society. Producing a video series exploring historic buildings, Radio personality Kylie Keene was given a private tour of the property in February, 2016. Jason Bluck of Sub Zero Ice Carvings custom-cuts a throne from a block of ice on February 15, 2016 during Scarborough WinterFest at the town's municipal ice rink. Over 100 hardy do-gooders plunge into frigid waters at Portland's East End Beach on January 30, 2016 in support of Camp Sunshine. Portland Sea Dogs mascot Slugger faces off with a friend at Portland's East End Beach on January 30, 2016 at the Camp Sunshine "Freezin' for a Reason" polar plunge. Joshua Gilliam, left, of Casco dishes out skates while DJ Ross (Sean Rossetti of Portland) plays music from inside the skate-rental trailer at The Rink at Thompson's Point on Saturday, January 30, 2016 at an event to support EqualityMaine and GLSEN's partnership to create safer schools for LGBT youth in southern Maine. All aboard a snow raft at the WinterKids Welcome to Winter Festival at Payson Park in Portland on January 23, 2016. A bagpiper leads a candlelight procession up Preble Street in Portland to honor the passing of Maine's homeless at the annual Portland Homeless Persons' Vigil on December 21, 2015. 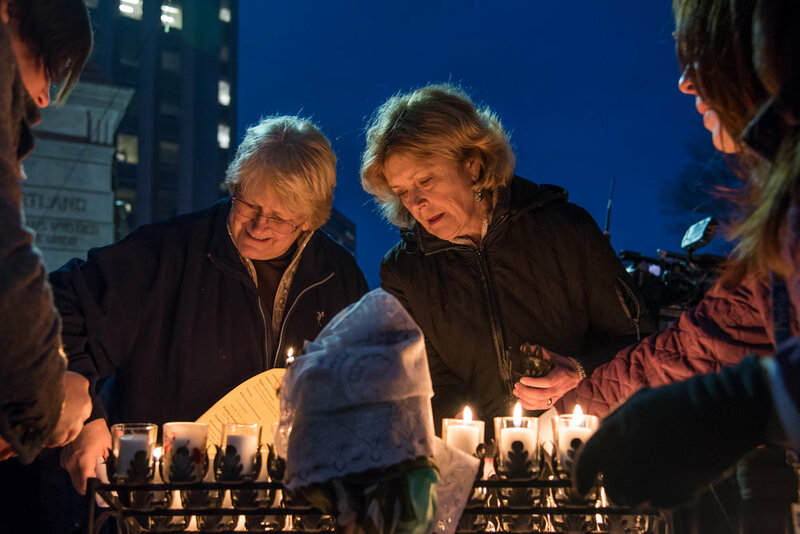 Community members light candles to honor the passing of Maine's homeless at the annual Portland Homeless Persons' Vigil at Monument Square in Portland on December 21, 2015. A member of Maine Historical Society takes in artifacts on display for 400 Years of New Mainers, an exhibition on immigration in Maine at Maine Historical Society in Portland on February 4, 2016. Jordan Guerette of Portland metal band FERAL performs at Geno's Rock Club on Devil's Night, October 30, 2015. 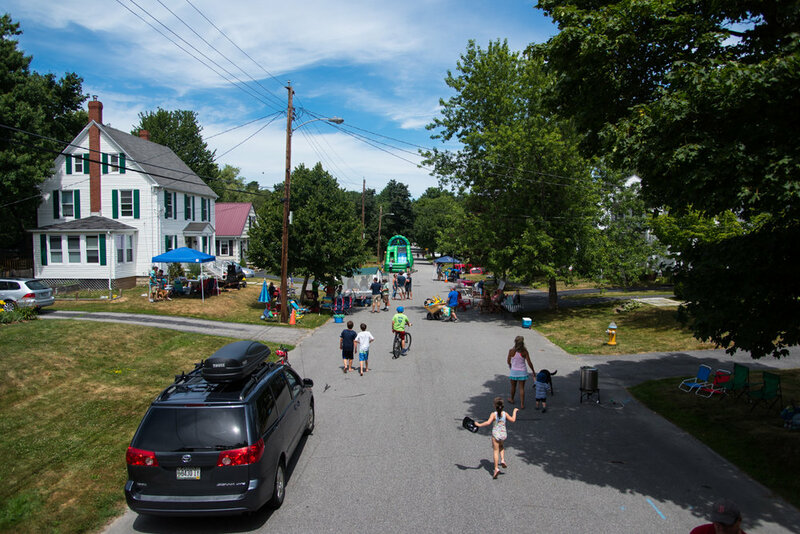 The Friends School of Portland is the first school in Maine, the first commercial project in Maine, and the third school in the nation to achieve Passive House Certification. Phil Kaplan, right, of Kaplan Thompson Architects highlights the building's eco-friendly windows during a tour on Thursday, September 17, 2015.